"குளத்தங்கரை அரசமரம்" ~ இக்கதையை நீங்கள் படித்து இருப்பீர்கள் என நம்பிக்கையில்லை ! ஓர் பொது அறிவு கேள்வியாக கேட்கப்படலாம். 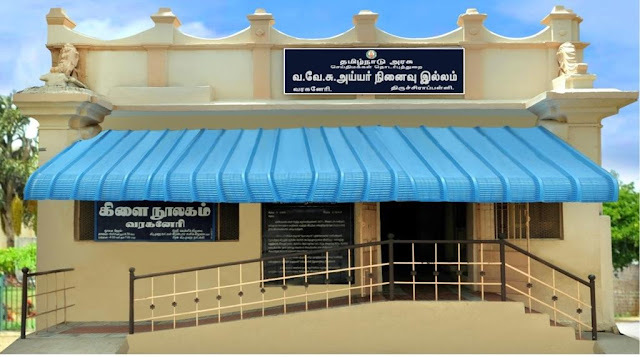 இதுவே தமிழின் முதல் சிறுகதை ! குளத்தங்கரையில் உள்ள அரசமரம் தன் வாழ்வில் கண்ட ருக்மணி எனும் பெண்ணின் கதையைச் சொல்கிறது. For sure we have not read our Indian History ~ what we should have read – for it was distorted, different, inappropriate part highlighted by the British rulers and those with red leaning .. 23rd session of Congress was held at Madras in Dec 1908. During the year, further anarchical outrages had given Lord Minto’s Govt ample grounds for repression. Tilak was imprisoned for a seditious article in his paper, the Kesari. Aurobindo was undergoing a protracted trial for treasonable conspiracy. At Tinnevely in Madras Presidency of British India on 17 March 1908, there was an outbreak in response to the arrest and subsequent conviction of Indian nationalists Subramania Siva and V. O. Chidambaram Pillai on sedition charges. In school days, History was no doubt interesting ! ~ what we read about Indian freedom struggle was often a terse statement of India getting freedom through non-violent (ahimsa) means advocated by Mahatma Gandhi. The history as handed by Britishers and reviewed by commies neither portrayed the cruelty of the rulers nor the sacrifices of innumerable individuals. Here is one connected to a patriot born on this day 138 years ago ! Ananda Thandavam directed by AR Gandhi Krishna, produced by Oscar Ravichandran, was an adaptation of ‘Sujatha’ novel ‘Pirivoamsanthippom’ ~ a very interesting love story of a young Engineer in a project site. The novel was in two parts -starting in Papanasam and occurring in USA. Papanasam (Agasthiyar Falls) is located in Tirunelveli district – the attractive water falls is located on the Western Ghats and to the south of Papanasam lower, the lake from where Tamirabarani riveroriginates. This place is linked to Sage Agasthiyar. This is a popular tourist place, frequented by Aiyappa devotees who also have darshan at Sri Papasanathar temple. Of the many great patriots and freedom fighter, the life history of VaVeSu is poignant. Varahaneri Venkatesa Subramaniam Aiyar (2 April 1881 – 3 June 1925), also known as V. V. S. Aiyar, (popularly Va Ve Su) was a revolutionary who fought British occupation and colonisation. He had elite company of Mahakavi Subramanya Barathi, VO Chidambaram Pillai, Subramanya Siva and more. Constantly chased by the British, he went into exile in Pondicherry, as the colonial Govt issued a warrant against him. VaVeSU was a prolific Tamil writer, considered as the father of modern Tamil short story. He translated Kamba Ramayanam and Tirukkural into English. He was the mentor of legendary fearsome Vanchinathan. He was born in a small village by name Varahaneri in Tiruchi. After graduating in History, Politics, and Latin; he studied Law, passed the Pleader (junior lawyer) examination from the Madras University in 1902. He then practised as the pleader in the District courts of Tiruchi. Aiyar then moved to Rangoon in 1906 and started practising as a junior in the Chambers of an English Barrister. From Rangoon, went to London, enrolled in Lincoln's Inn aiming to becoming a Barrister at Law. There his life was to take a sharp turn as he came into contact with a great freedom fighter – Vinayak Damodar Savarkar. SAvarkar influenced him to becoming an active participant in the militant struggle for Indian freedom. 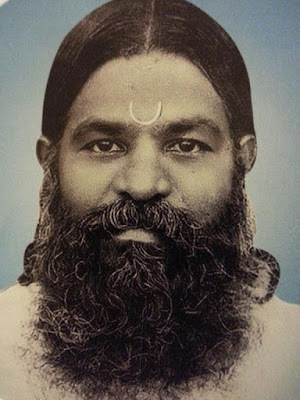 VaVeSu was a close friend of Shuddhananda Bharati; with whom he started the Bharadwaja Ashram at Cheranmadevi. Iyer was to return to Madras after World War I and worked as the editor of the newspaper Desabhaktan (Patriot). He was arrested in 1921 on sedition charges and spent nine months in prison. While in prison Aiyar wrote the book A Study of Kamba Ramayana.As a writer, Aiyaris often been referred to as the "founder" of the short story genre in Tamil. Sujatha’s novel would vividly describe the water falls and the way people lived in that area loving the environ – sadly on 3rd June 1925, Aiyar drowned in the Papanasam falls, reportedly trying to save his drowning daugther Subhadra. A remarkable career of a true patriot who suffered for the betterment of mother India, had an unnatural ending. Va.Ve.Su. Iyer espoused the political dictum that individual acts of bravery would kindle the ensnared spirit of the Indian masses towards achieving national freedom as he firmly believed that armed struggle was the way to achieving deliverance from the clutches of foreign yoke. சுஜாதா தனது பிரிவோம் சந்திப்போம் காதல் கதை நடுவே ~ பாபநாசத்தில் உயிரிழந்த திரு வ வே சு அய்யரைப்பற்றி சொல்லியிருப்பார். 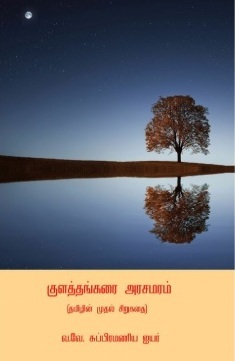 தமிழின் முதல் சிறுகதையான "குளத்தங்கரை அரசமரம்" வ. வே. சு. ஐயர் எழுதிய ஒரு சிறுகதை. With due respects regards to the National hero and all those who suffered fighting for the freedom of Mother India.